I lived in Mexico for 15 years, and I've traveled extensively throughout Mexico, Costa Rica, Belize, and Guatemala. Over the years, I've visited many other countries in South America, and I now spend four months each winter in Panajachel, Guatemala. I love the arts, the food, the history, the culture, and especially the people of Latin America, and I look forward to sharing all of this with you. Over the last twenty-five years, I've planned and led educational travel seminars for such diverse groups as Interhostel, college and high school students, museum groups, the Audubon Society, groups of artists and teachers, and Cooperative Extension System groups. In my travel programs, there is no “middle man,” since I plan itineraries, handle travel logistics, compute fees, develop bibliographies, and check out a myriad of other details. I believe in people-to- people contact, and we visit many homes to talk personally with residents of villages and towns through which we travel. In all my travels, I am especially interested in women’s issues and the education of girls, and we talk with social service program leaders who are helping women improve their families' economic and social positions. College credit (undergraduate level) is available for any of my travel seminars. How did all of this begin? I used to take students from The Ohio State University to Mexico and then Guatemala with me, and about 20 years ago, I started an embroidery cooperative in a small village in the Department of Solola in Guatemala. 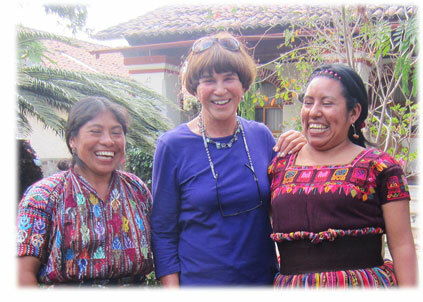 As time went by, I met Sue Patterson, a former Peace Corps volunteer and US State Department employee, and I now support the work of a reproductive health program (WINGS) Sue started in Antigua, Guatemala. 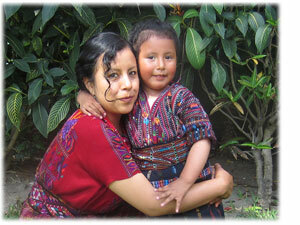 I've met another group, Asociación Maya, a group of Mayan women who weave beautiful chenille scarves in Solola. Anyone who has gone to Guatemala with me has been impressed with this cooperative of over 275 Kaqchikel-speaking indigenous Mayan women, where the women dye the thread at their cooperative, and then they weave the scarves on backstrap looms in their homes. Prior to moving to Mexico, I was the Assistant Dean in the College of Human Ecology at The Ohio State University for ten years, where I had taught child development and adolescent psychology. I’m now the Educational Programs Coordinator at the Cemanahuac Educational Community, located in Cuernavaca, Mexico, and I work with college faculty members and school systems across the United States and Canada to establish cooperative academic programs with Cemanahuac for graduate and undergraduate credit. 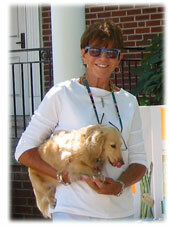 I particularly enjoy working with professional adults to design programs of study that meet their specific needs. 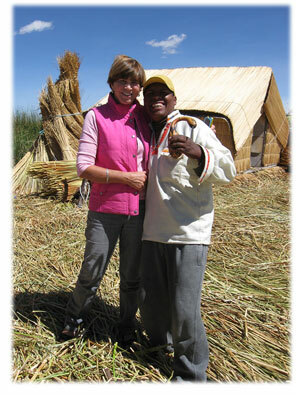 I now live in the United States, (Columbus, Ohio), but I continue to work on-line for Cemanahuac. My education includes a bachelors degree from the University of Michigan and two graduate degrees from The Ohio State University. As a former college professor, I treat my travel seminars (in my mind anyway) as college courses, with definite plans and expected outcomes and goals, readings, a syllabus (itinerary), and the usual items that preparation of a college course entail. But there are no pop quizzes, and no term papers are required!! !